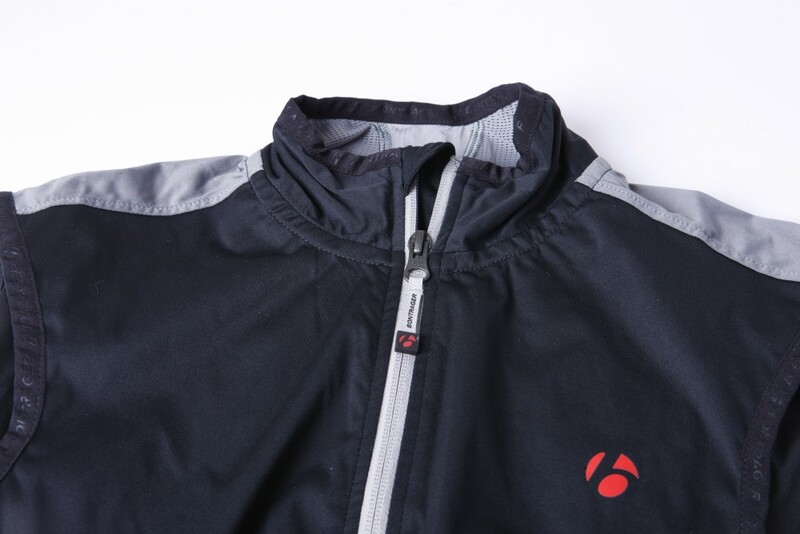 Designed to keep the chill off your core, the Bontrager RXL Windshell is a great choice for nippy spring and autumn rides when bright sunshine doesn’t necessarily translate into warm temperatures. There’s no doubting that this is an impressively warm gilet, but probably the best thing about the Bontrager RXL Windshell is its fit. The coming of spring (hopefully) brings better legs and faster riding, so I was glad that this gilet really hugged the torso, with no loose material hanging from the front even when crouched over the drops. The hem is also dropped at the rear, meaning that an aggressive riding position doesn’t leave your lower back exposed. Sizing is also sensible, with a size medium fitting my 6ft frame perfectly. 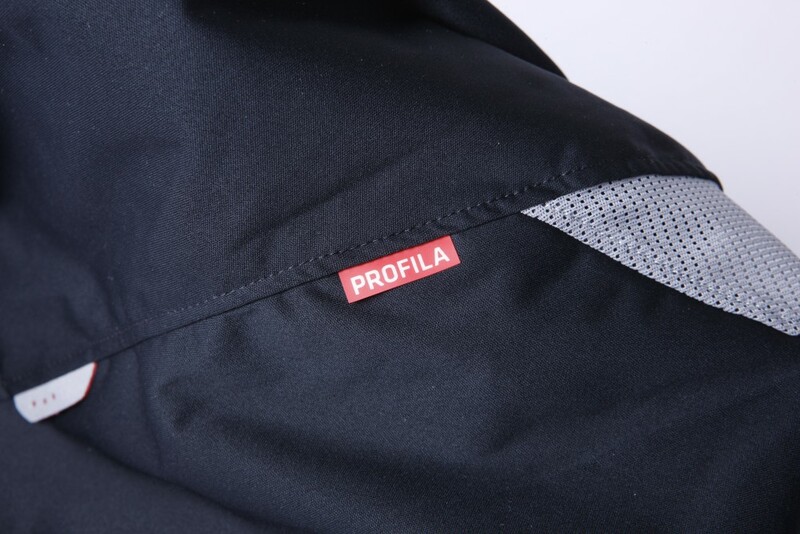 The main body of the Bontrager RXL Windshell, both front and rear, is made from the company’s Profila wind fabric. In contrast with plenty of other windshells of this price, Bontrager isn’t holding back by describing the RXL Windshell as “windproof” rather than “wind-resistant”. On the road this claim is certainly vindicated, and this predominantly polyester gilet kept me warm in temperatures (and wind chills) well down into single figures, beyond the comfort zone of normal nylon vests. Clearly it doesn’t offer the same level of warmth as insulated gilets such as the dhb ASV Thermal Gilet, but for spring and autumn weather it’s more than good enough. With an unexpected shower never far away when riding through the British spring, I was also pleased with the gilet’s water-resistant coating. Yes, it was no replacement for a proper waterproof jacket when riding through persistent rain, but it certainly kept the worst of the April showers at bay, and also survived numerous washes without losing effectiveness. Unfortunately this excellent protection does mean a slight compromised when it comes to “packability”. While most gilets with a nylon construction will stuff down to fill only half a jersey pocket, the polyester Bontrager RXL Windshell is a little larger. It’ll still fit comfortably in your pocket, but I struggled to fit anything else in there with it beyond a mini pump or a set of keys. The other negative point is that there is no opening to access your rear pockets, a bit of an annoyance seeing as the slim fit of the RXL means that it can be difficult to pull up at the back, especially when your pockets are full with energy bars and the like at the start of a long ride. At £59.99 the Bontrager RXL Windshell is probably a little above what I’d expect to pay for a gilet, but given the level of protection it offers, the cost seems justified. The Bontrager RXL windshell is an exceptional gilet for chillier spring and autumn days, providing good warmth and also fitting very well. This extra protection means it doesn’t pack down as small as others, but that seems like a reasonable compromise.